On the 26th of January 2016 we are linking in with other cities and small towns around the country to be heard as one voice and let Australia know that we don’t support CONstitutional reform and the Recognise campaign. It’s about time that we started our own national discussion on what we want weather it is Treaty/Treaties, Independence, A 7th State or a Republic. It is only us who can change our future and let make a future that we all can live in. 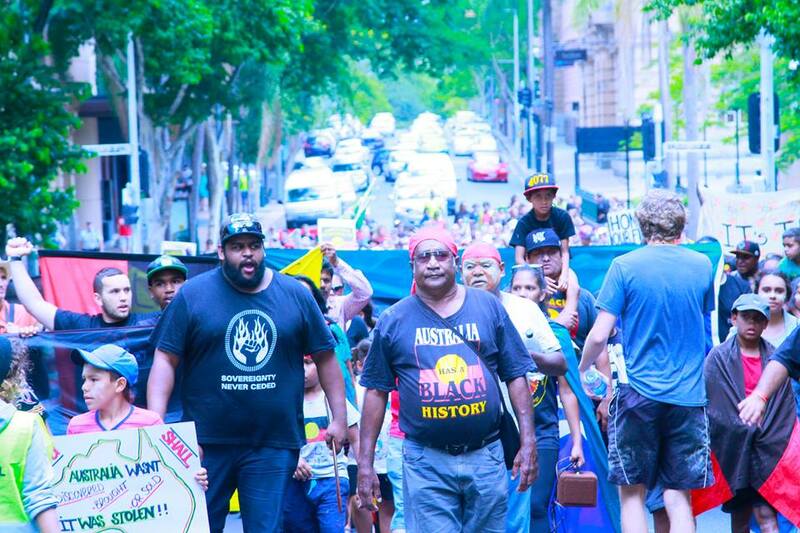 Invasion Day rallies have been held across the nation to remember the First Fleet landing in Australia and the ensuing killings of Indigenous people. Front of the march in Brisbane on Invasion Day, Jan 26, 2014.